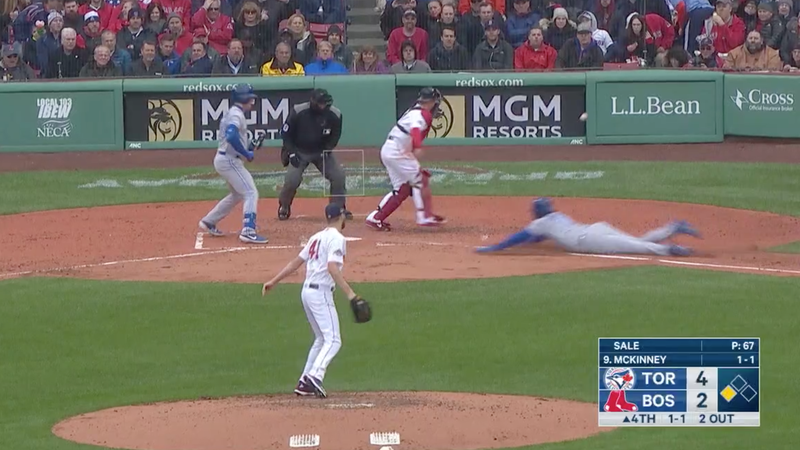 Toronto Blue Jays DH Lourdes Gurriel Jr., who is not a stolen base guy by any stretch of the imagination, made that exact judgment of Red Sox pitcher Chris Sale today, swiping home with barely any trouble just because Sale was pitching out of the wind-up and couldn’t manage the simple task of throwing the ball into the catcher’s mitt. Gurriel’s robbery prompted boos from the Fenway Pahk crowd, and the flustered Sale would only get one more out before exiting the game with four innings pitched and five earned runs. This’ll be Sale’s third disappointing start in a row to begin this season, after giving up seven runs in three innings in his debut, and only managing one strikeout in six frames in his second appearance. His ERA is 9.00, and he’s had worryingly slow velocity in these early weeks—though the Red Sox claim that’s partially because he’s been sick. Is there any other reason to be concerned? Ah. He’s probably just a little chilly. Can The Red Sox Trust Chris Sale?